IS VW RE-ENTERING THE PICKUP MARKET? 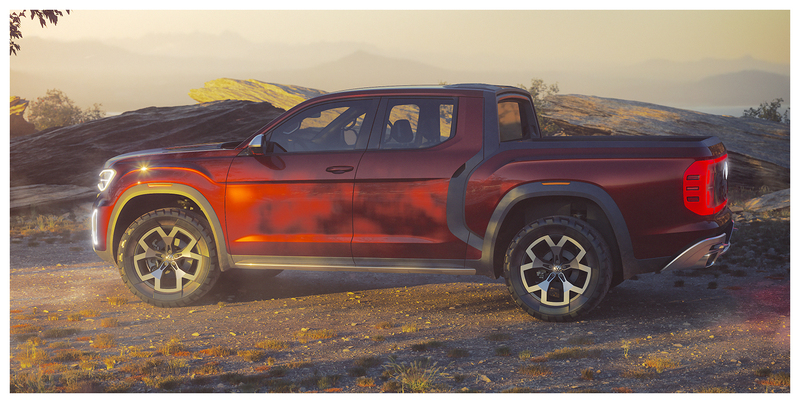 The beginning of last week’s New York International Auto Show brought quite a surprise from the folks in Wolfsburg: a new pickup wearing the VW badge front-and-center. 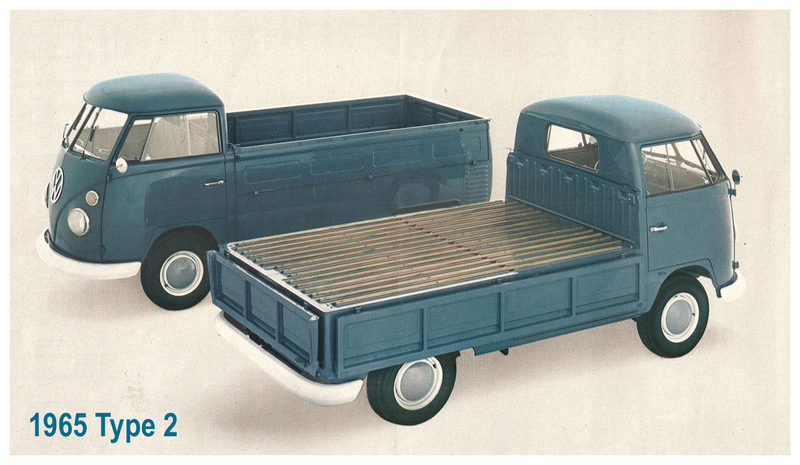 Anyway, the Atlas Tanoak isn’t VW’s first foray into the pickup market by any means. 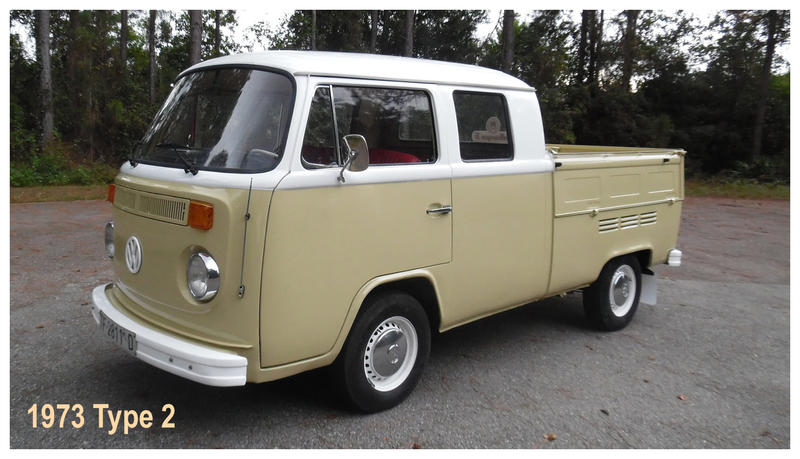 Back in the early days of Volkswagen, the Type 2, or Transporter (or simply, Bus) was offered in a pickup version, and much like today’s Detroit behemoths it was offered in single cab, extended cab, and four-door versions. For loading ease all three sides folded down for access to the bed. 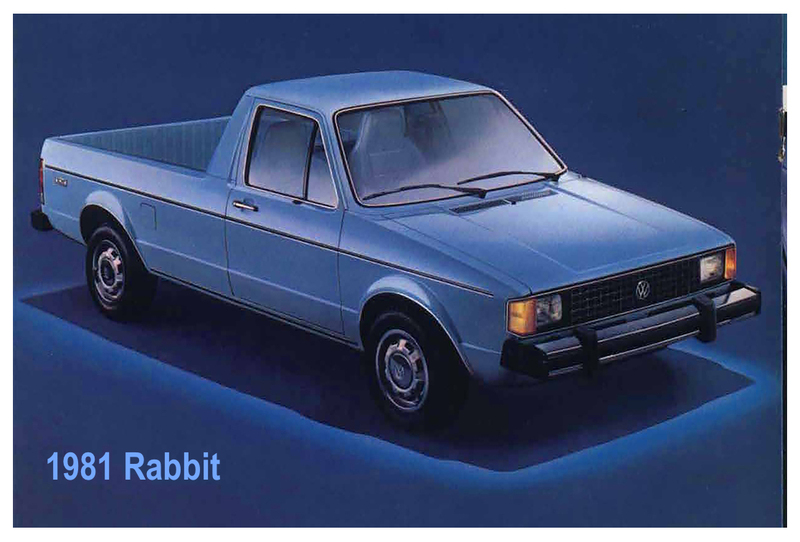 In the 1970s VW introduced a pickup version of its compact Rabbit, which was offered in regular and diesel version. Overseas it was known as the Caddy, a name still used for VW’s small commercial vans. 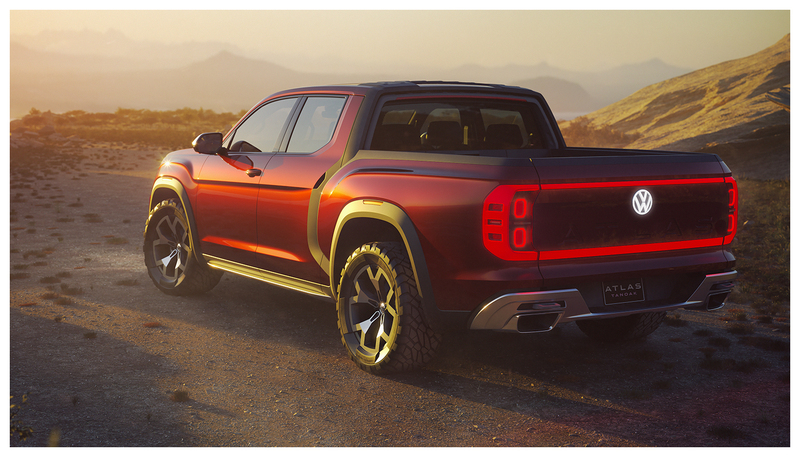 The Atlas Tanoak is, for the time being, a concept. But I imagine that some variation of it will be offered at VW dealers before too long. Under the hood is VW’s 3.6L V6, producing 276 hp. An eight-speed automatic transmission puts the power to all four wheels via VW’s 4MOTION all-wheel-drive system. The Tanoak is largely based on VW’s new Atlas SUV, but they tell us that it has been completely redesigned. 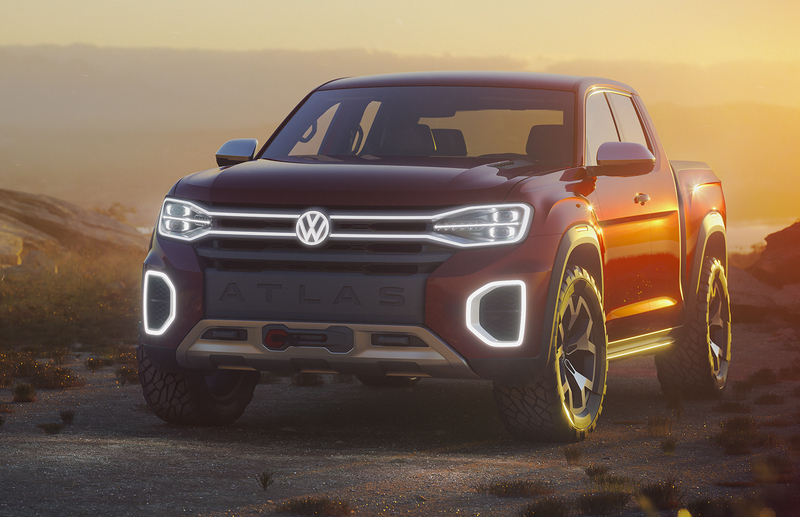 Although it is kind of obvious, it’s different enough that the Atlas moniker could probably be dropped (although, I’ve read rumors that VW is planning on an entire lineup of Atlas-based vehicles, so I imagine if the pickup comes to fruition, the Atlas name will stick). 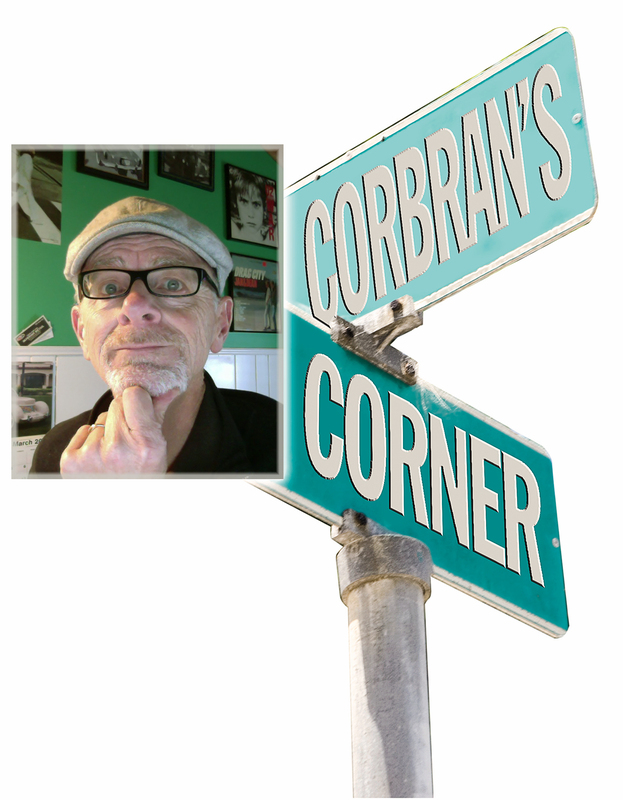 The bed, much like many modern pickups, is only a tad over 64 inches long, which means it’s not very useful for carrying anything much longer than five feet unless you don’t mind it hanging out into traffic. My guess is that also like many modern pickups, nothing more than a large bag of dog food or a few bags of mulch will ever be thrown — no, make that carefully placed — into the cargo area. The passenger compartment has seating for five. VW tells us that the shifter grip and 4MOTION controls have been designed so that they can be operated by “everyday people who are used to driving a pickup, even while wearing work gloves.” Lol, VW. Lol. As far as the styling goes, it seems more for show than work. I actually like it. 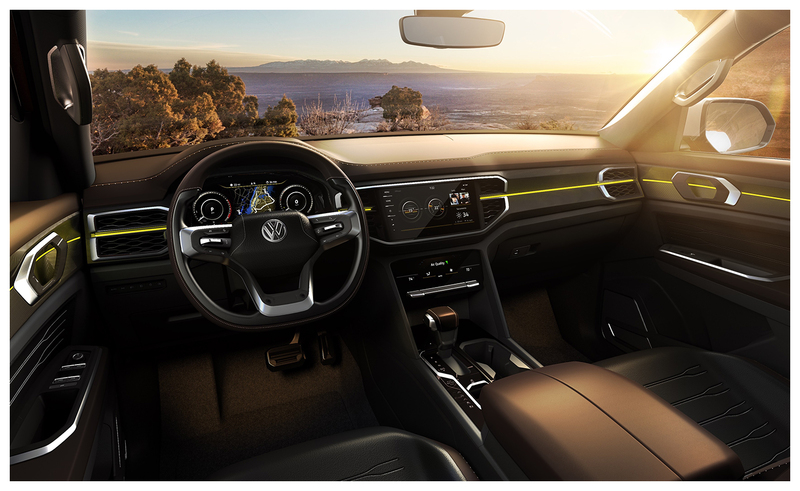 But, if it goes into production I hope VW changes the exterior lighting. I wouldn’t want those front LEDs burning a hole in my rearview mirror, nor would I want to follow that array of rear lighting on a city street, where I’d probably be seeing spots before my eyes after two blocks. Although there’s no official word from VW, I’m guessing the Tanoak will be available as a late 2018 or early 2019 model. 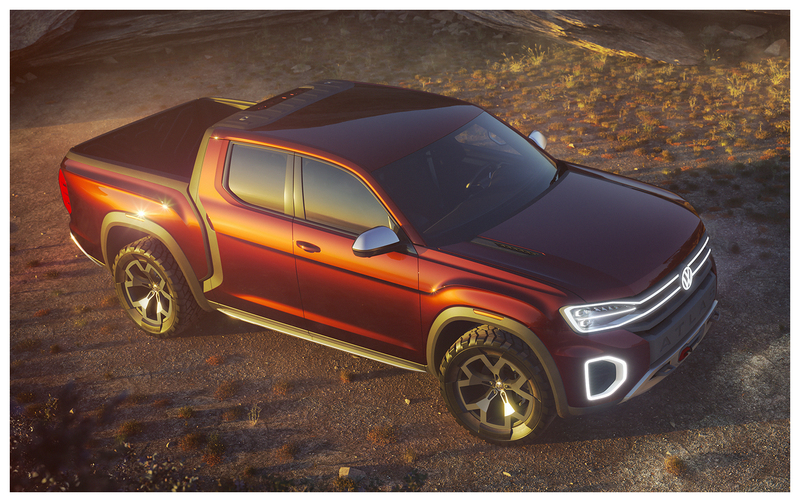 The post “IS VW RE-ENTERING THE PICKUP MARKET?